While I am finishing up the detail work on my trench coat, and watching the world skating online, I thought I would ramble on about some of the other sewing (and skating) related things that occupy my attentions. I believe the fabric stash is a well studied problem amongst sewers of the internets. Let’s face it – pretty much unless you live in the heart of NY (aka walking distance from the garment district) as a home sewer, you probably have a stash. Big stash, little stash; patterns, fabric, and notions; vintage flea market finds or the latest excess fabric from the runways bought online, we all pretty much have one. 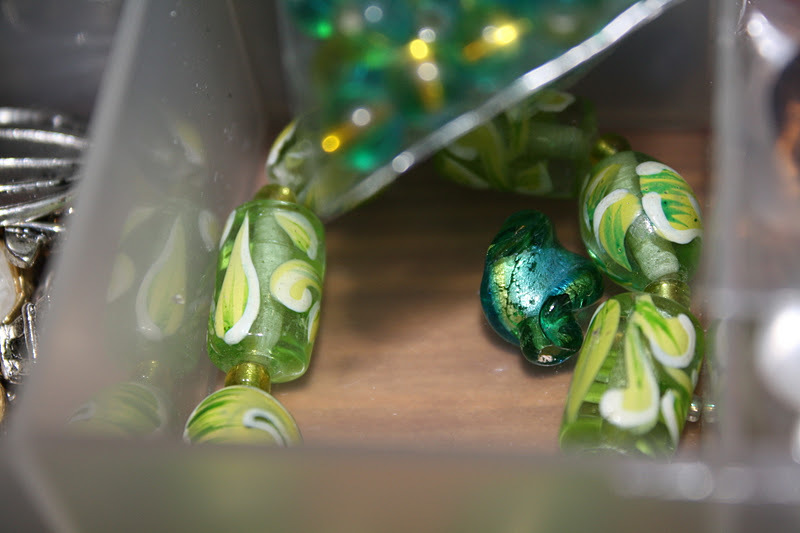 The stash is different things to different people – for some a burden they seek to lessen, and for others a refuge of endless possibilities. Any way you look at it, the fabric stash is a condition we as home sewers can all share and understand. However, unlike a lot of home sewers, I also have a stash of a different kind. I have a sparkle stash. 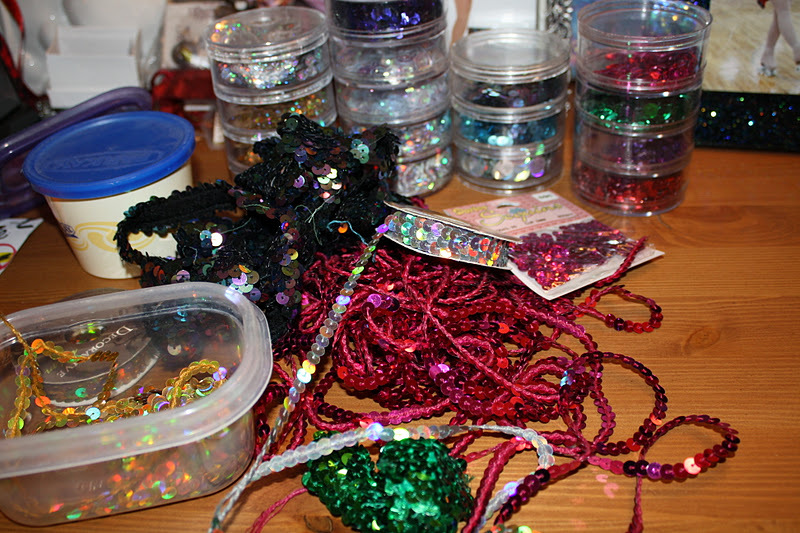 Yes, indeed, I have a fairly extensive collection of all things shimmery, shiny, and glittery. 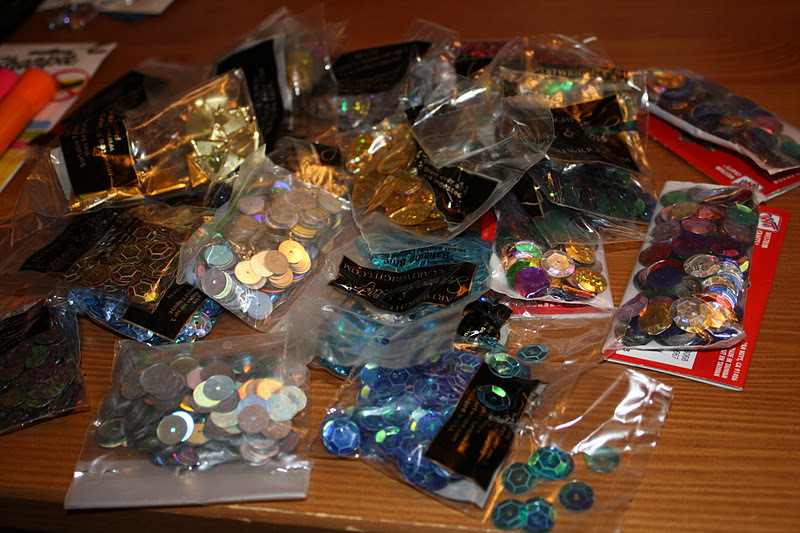 Although my fabric stashing only really began in earnest the past year or so, my collection of all things shiny has been in full gear for over a decade. I always liked shiny things, but ever since I started skating my collection has grown in ernest. 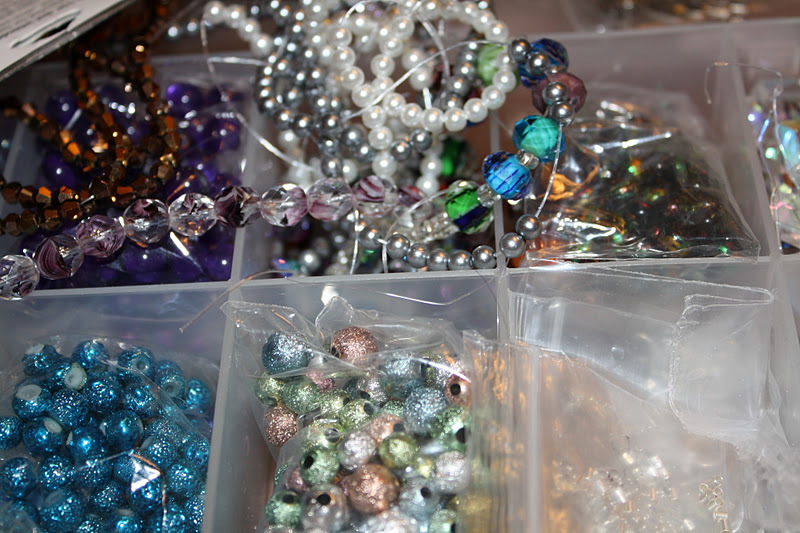 Beads, sequins, rhinestones – if it sparkles, I’ve got it. And of course good ol’ crystal – plain and AB. But the colors are more fun! I have seen a lot of people refer to themselves as magpies, but, honestly, in this case “magpie” doesn’t even begin to cover it. 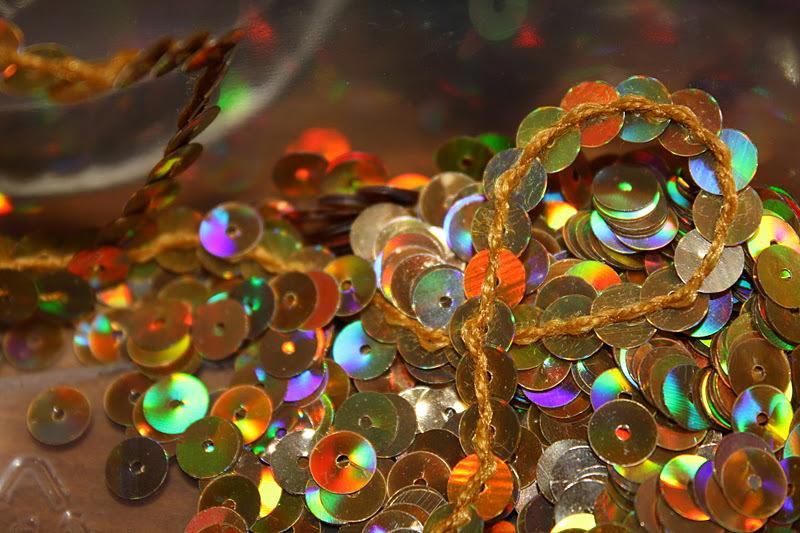 No, what I have is a full blown case of “Liberaceism” – the constant urge to spangle, sparkle, or bedazzle any and all plain fiber surfaces. 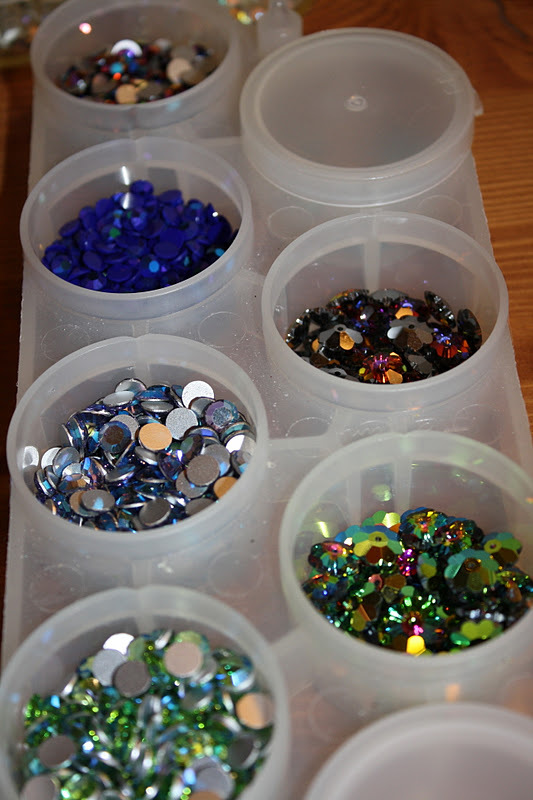 Instead of thinking about colors as they would be named in a box of crayons, I instead consider the world in shades of “Siam AB” “Capri Blue” and “Emerald.” So you see sewing people of the internets, I have another stash, a sparkle stash, one that is extensive and varied. 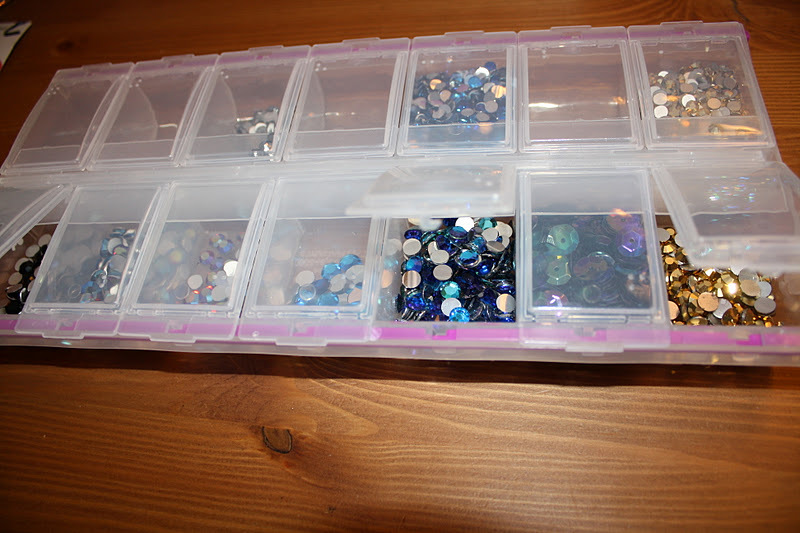 And so I ponder… I know many of us have sewing stashes, but how many of us have other stashes? Is stashing a situation created by the nature of sewing, or do natural born stashers gravitiate towards sewing as an activity? How much stashing is too much? Is the severity of a stash determined by the quantity it contains, the cost of acquisition, or the space it consumes by residing unused? Do any other seamstresses spend this much time weighing the pros and cons of laminated plastic vs. leaded glass, or am I just an oddball? 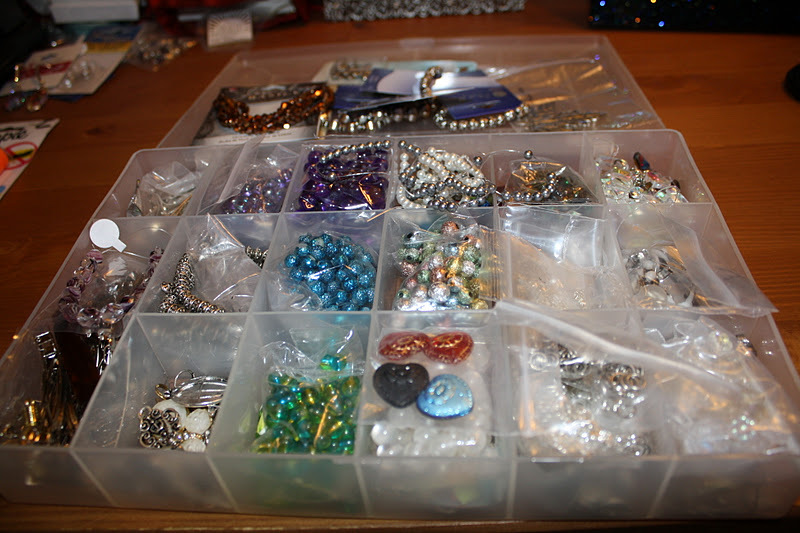 Is it a problem if sometimes all I want to do is pull out the stash, sit back, relax, and think, “ooo, shiny”? I HATE Making Sewing Repairs! Oh my is that just B-E-A-U-T-I-F-U-L!!! I could sit and play there for days!!! 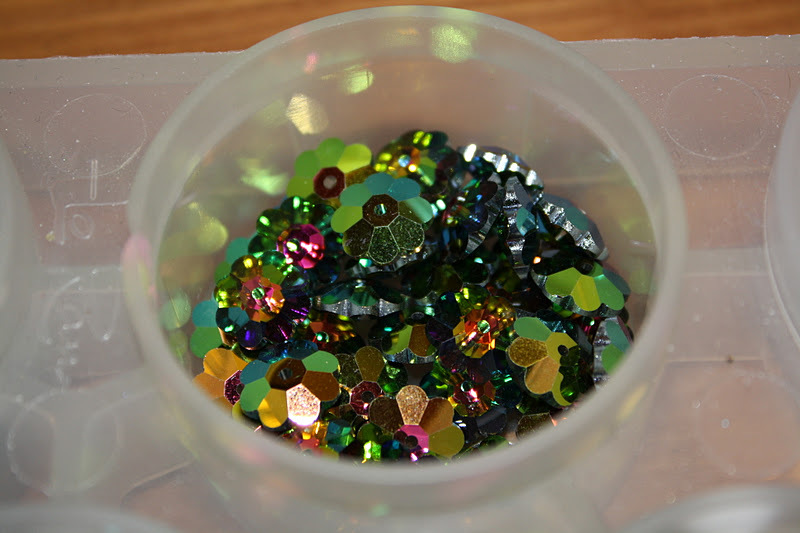 I notice you've got a couple of different rhinestone suppliers listed on your sidebar which sell the Czech, Austrian, and Korean rhinestones. Which do you use primarily? 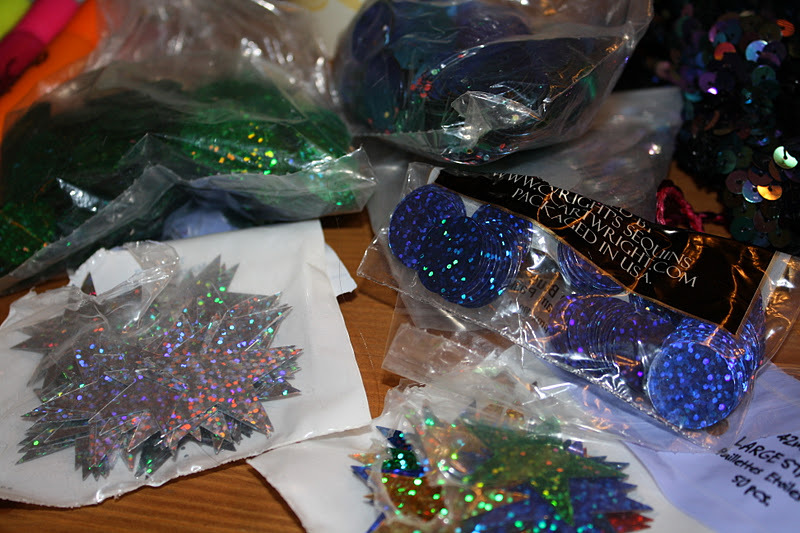 I'm about to take the rhinestone plunge and am kinda overwhelmed. The Czech look good but maybe the Korean rhinestones are good enough? ($4.19 for 22ss is better than $10 or even $14!) Thanks for the inspiration! 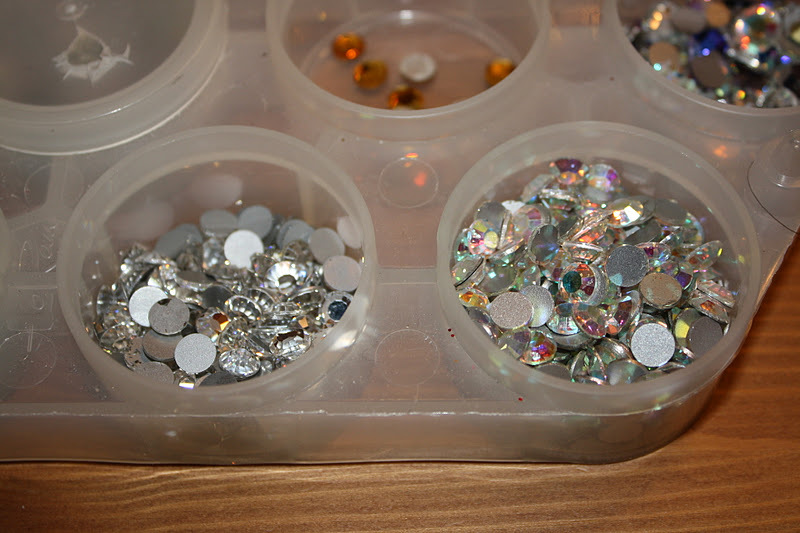 I like the Czech Preciosa for the glue-on stones (I usually get sizes 20ss, 30ss, or 34ss). The price/quality ratio is good. 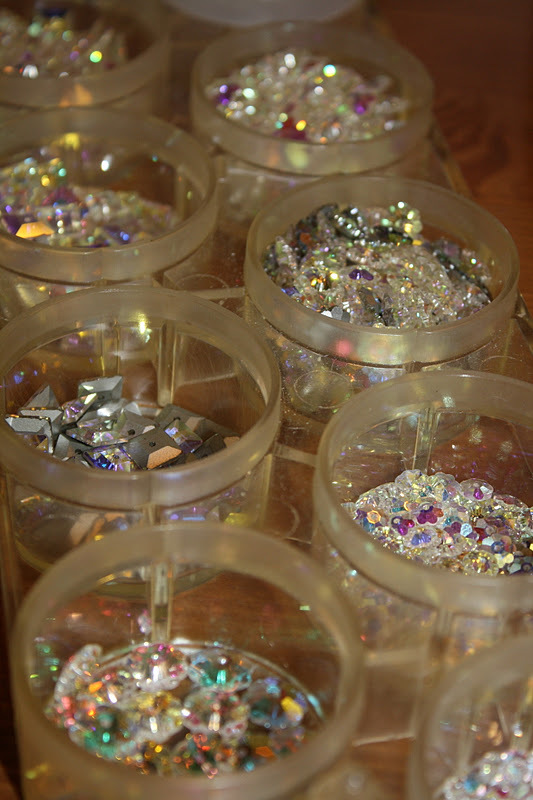 If you are on a really tight budget the Korean stones will probably be good enough, but I don't think they have as many color options, and I don't think the quality of the smaller stones is as good as I like it to be for my competition dresses. 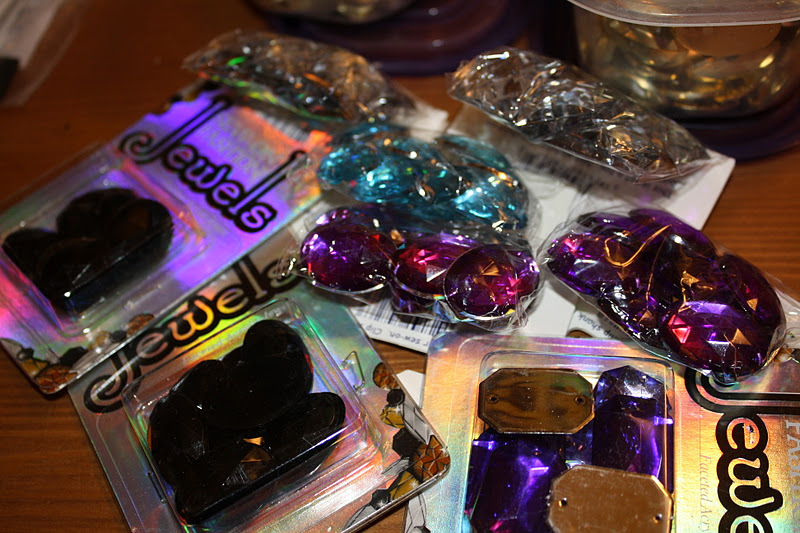 I have been using the Korean stones for the large sew-ons though. 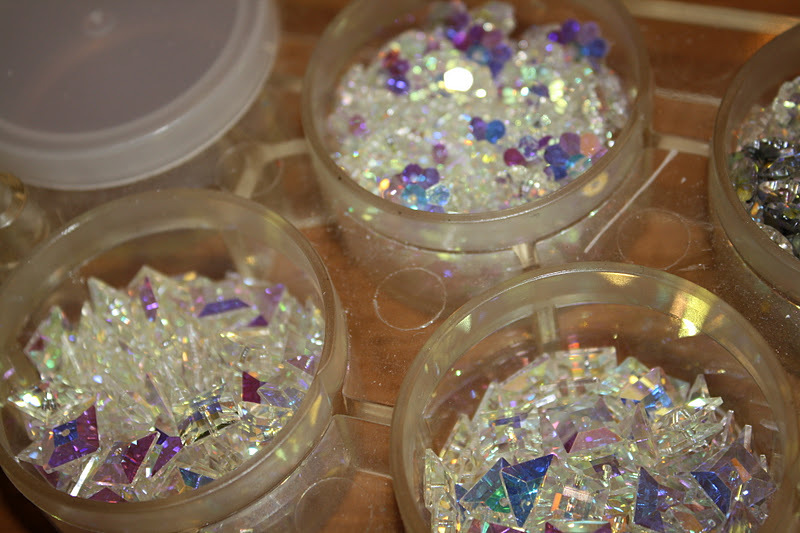 Mainly because they are much much cheaper than the Swarovski but still have the same sort of impact for 1/3 to 1/5 the price. And at a far distance you can't really tell the difference. 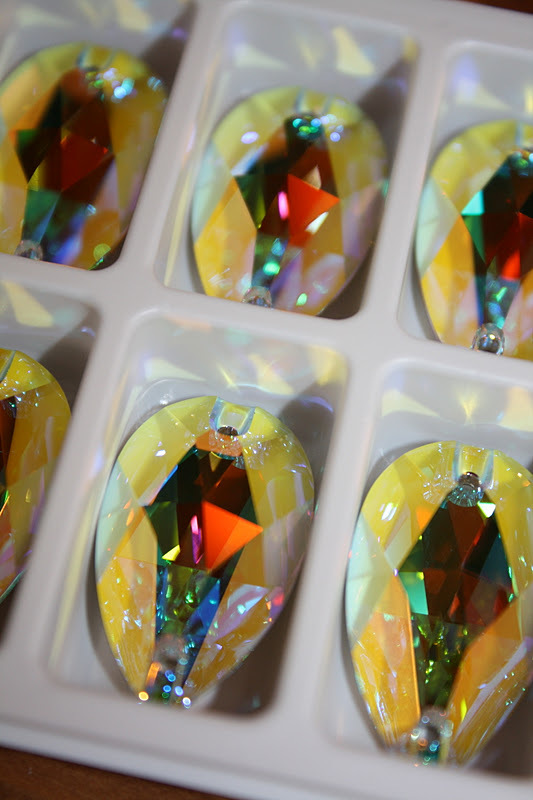 The quality of the Korean stones is not quite as good, and the coatings tend to scrape off much easier, so for figure dresses I splurge on Swarovski. For dance dresses the Korean ones look alright because the judges aren't as close, so you can get away with using the lesser quality stones.